Myzone is an innovative wearable heart rate based system that uses wireless and cloud technology to accurately and conveniently monitor physical activity. Myzone delivers a fully connected solution for fitness clubs and is respected as the fitness industry's wearable of choice. It is successful due to its accuracy at 99.4%. This is the tool for anyone who wants an accurate, gamified and motivating wearable. 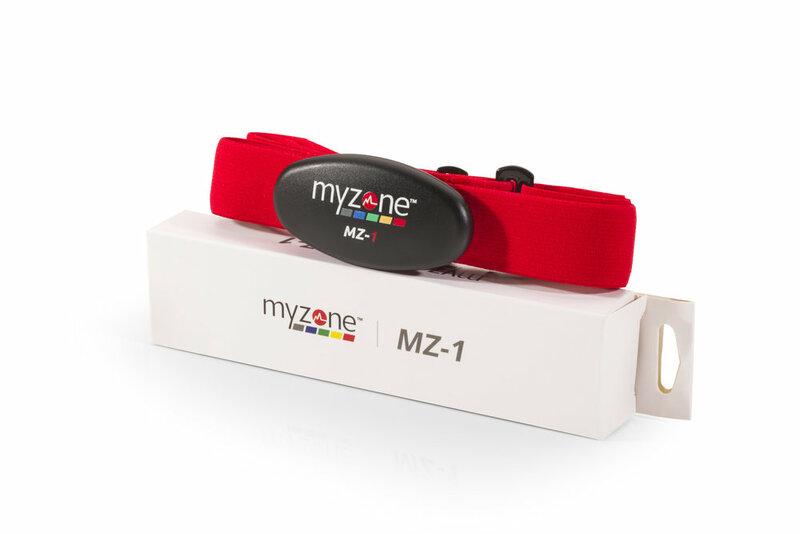 Myzone monitors heart rate, calories and time exercising that convert into Myzone Effort Points (MEPs), with a focus on rewarding effort rather than fitness. Get started at Excell with your Myzone monitor. Be sure to stop by either location to check out our competitive prices. The MZ-3 is a well-crafted piece of technology with multi-functional features that helps you track your workouts, stay motivated and set goals to get the maximum result from the effort you put in. The MZ-1 is the newest module from Myzone. It uses Bluetooth technology to provide real-time feedback on heart rate, calories and effort. The MZ-1 has no internal memory so is best used within a Myzone Club where the data can be uploaded to your account immediately.